It has been a productive few weeks. 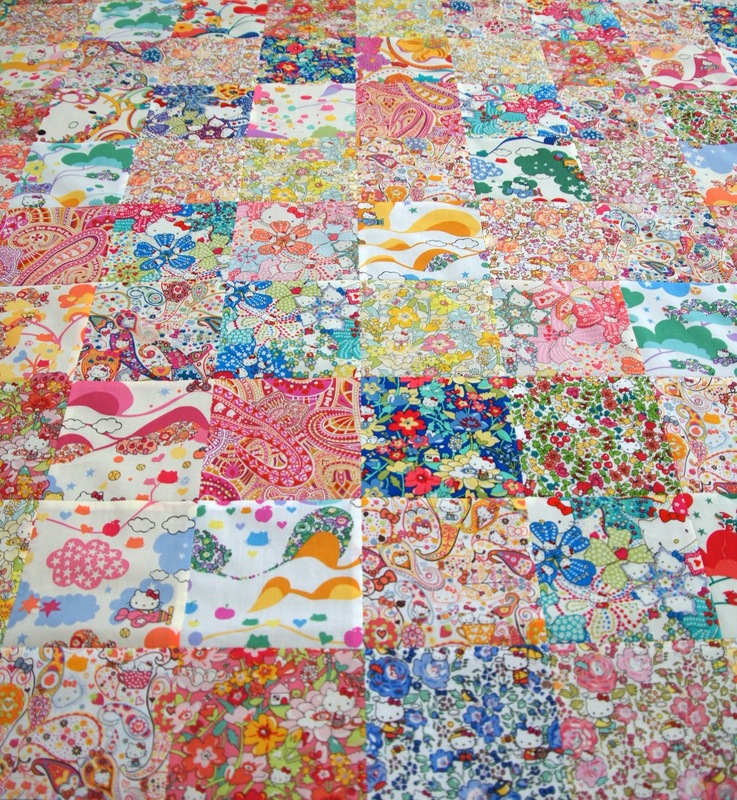 The Hello Kitty Liberty Fabric has been all sewn up. Into a sweet smaller quilt made of 4 inch blocks. This one I have sent to be quilted so I am looking forward to this one coming home to be bound and to find a new home on the end of my little one's bed. 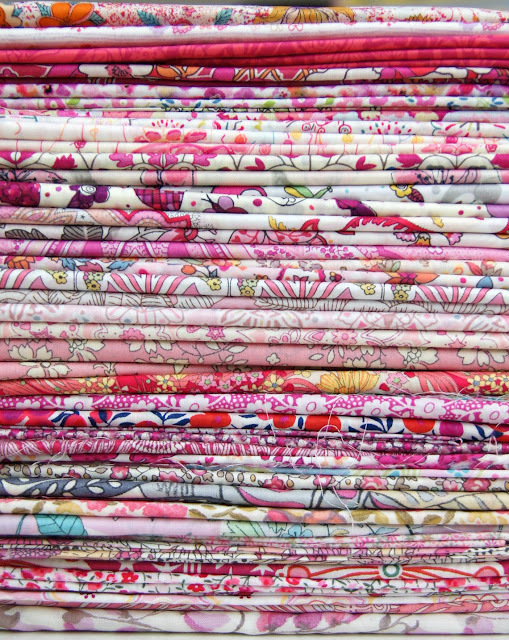 So in love with Liberty - it is time to cut into the stash I have been collecting for a quilt for my own bed. I have collected 49 different prints all with pink as the underlying colour. As I have been cutting into them I keep changing my mind as to which is my favourite. Our Sew Along Retreat was held a couple of weeks ago and the weekend was filled to the brim with sewing, laughter, inspiration and fun. Once again the Avalon Homestead was a wonderful venue with lovely rooms and the best home cooking. We started off with our Mystery Project. 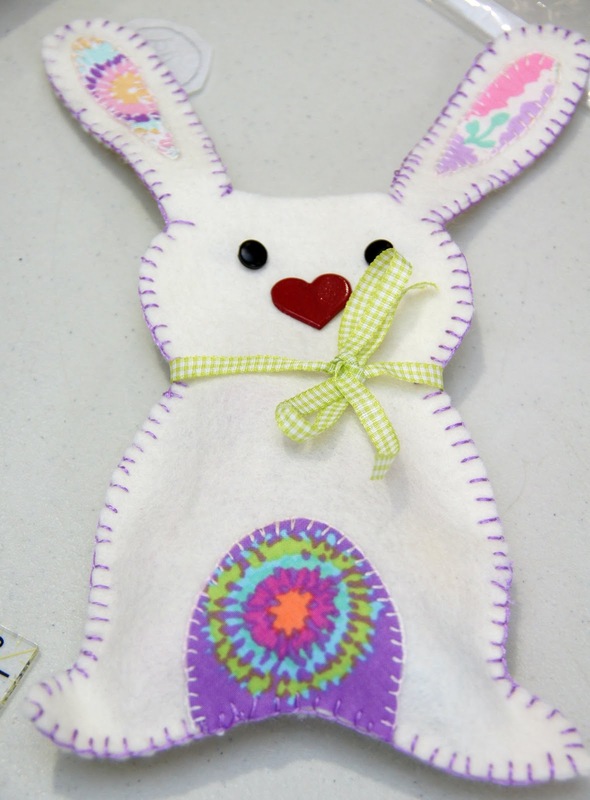 With Easter this weekend we decided to make this sweet little bunny. It has a tummy full with Chocolate Eggs for all to delight. As the sewing got serious we made sure the ladies had special treats to keep them going. 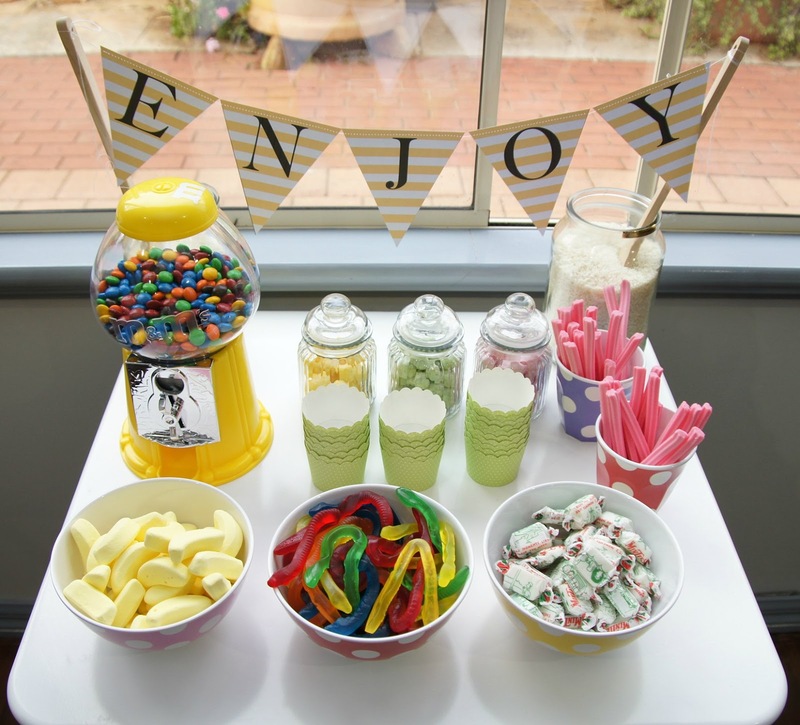 This Lolly Bar was just the trick. But to the sewing right - well there were many quilts that were started and finished over the course of the weekend. So many beautiful colours and fabrics. 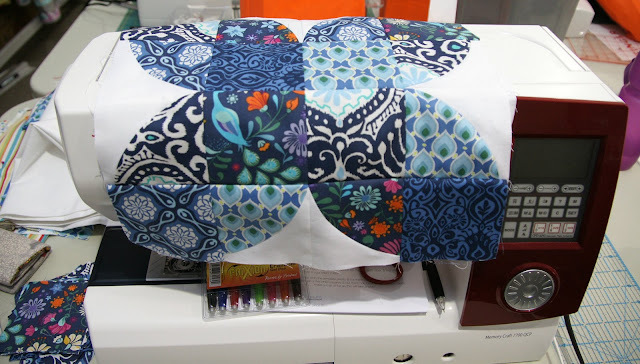 We held our Spring Carnival Quilt workshop and while this is a challenging quilt the blocks came together really well. 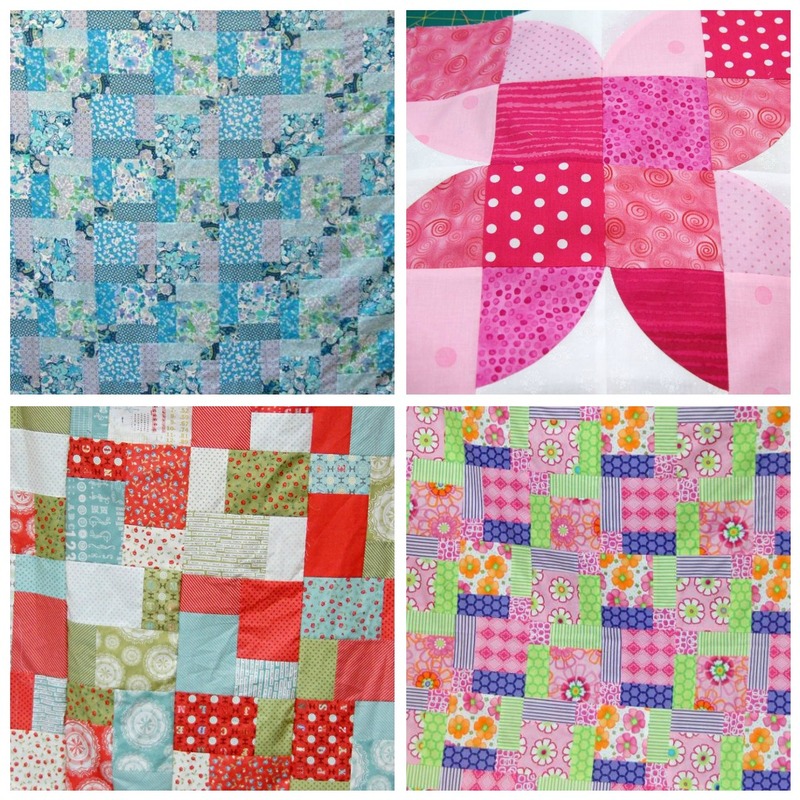 Here are some of the projects that the ladies made. 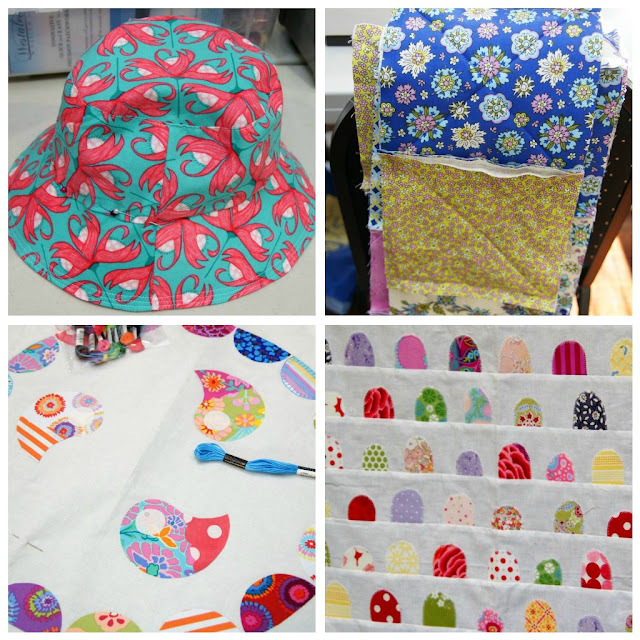 There were many other projects besides quilts being sewn with hats, cushions, bags to name just a few. It was a great 3 days of teaching and we hope that all who joined us enjoyed the weekend as much as Claire and I did. Now to look forward to the July Sew Along Retreat. A blog post at last!